Revolutionising Airbnb guest check in? The hotel industry has had quite the shake up with AirBNB flooding the market with a range of accommodation that can suit any taste or budget. Airbnb is an online marketplace where a host can rent out their property, whether it be in its entirety or by the room. Airbnb is not always like a hotel, there’s no reception and the process of gaining access can often be a logistical issue, especially if you are managing more than one residence; short of handing the keys to your guests and collecting them afterwards, what are your options? BioAccSys Australia has revolutionised the way that Airbnb’s can operate. 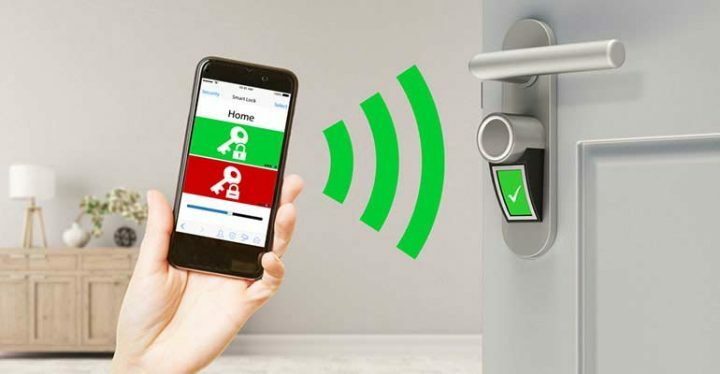 What if instead of a key you could provide safe and secure access to your guests via a Bluetooth lock? BioAccSys Australia’s Bluetooth locks are the smart and easy way to manager one or many doors. You simply activate the Bluetooth code for the desired time period. Once the time has expired the guest will no longer be able to gain access to your property. What are the benefits of BioAccSys’s Bluetooth lock system? You can manage one or many doors with the touch of a button. There is no need for you to physically hand the key to your guests, once they checkout their access ends, you can then grant access to the cleaner easily. No more lost keys; you’ll never need a locksmith again. Safety is increased as no one can copy your Bluetooth access like they can a key. You can monitor your guest’s arrival. It gives you the freedom to not have to manually be there to welcome your guests. You can assign admin staff to assist you, giving you complete freedom. A BioAccSys deadbolt Bluetooth lock gives your property an extra layer of security and the freedom to run your Airbnb without the need to be physically present. Why make life harder? Call 1800 783 782 and speak to the access control specialists, we cover Brisbane, Gold Coast and Australia-wide.